This piece was commissioned by a keen sailer as a gift to his wife. We have designed the bench inspired by architecture and the client's love for boats. The piece is fairly simple in its construction, it is the geometry of the design that makes the structure rigid. 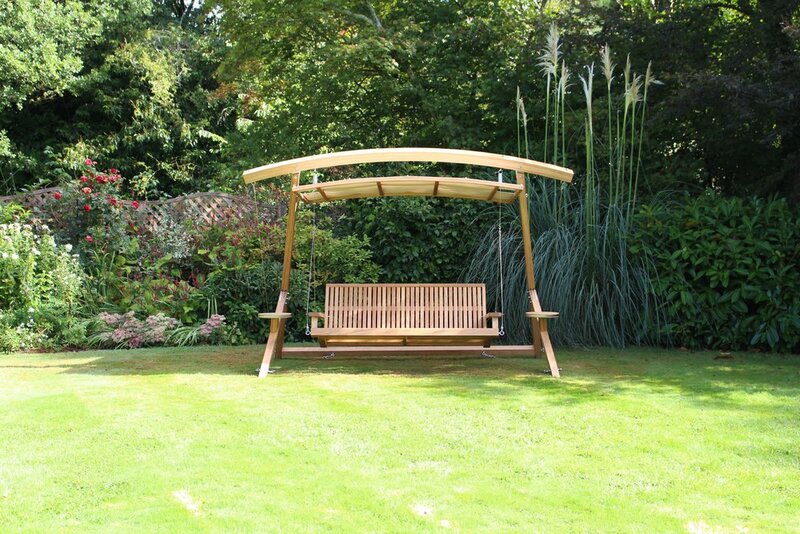 The main frame has been designed not as an "A" frame, which is commonly used on swing benches but as a cantilevered, this way creating 180degrees of open view when you sit down. 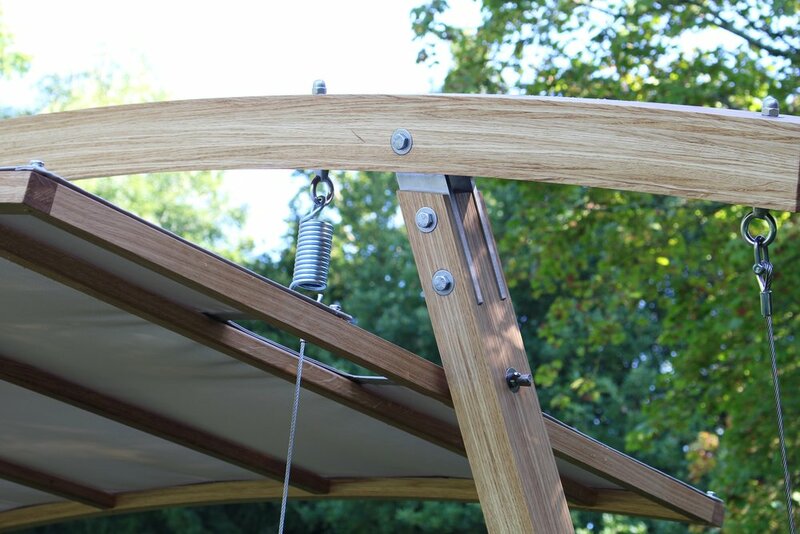 The main structure consists of a laminated bow which joints all vertical elements with stainless steel plates and bolts, making it a knock down structure if needed. Materials: european oak / stainless steel plates, cables and fixings.